Energy conservation and the associated cost savings is an important requirement for discerning companies. 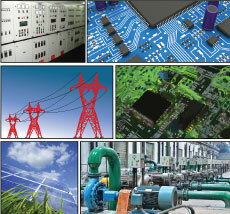 The rising cost of power has brought to fore the need to produce, distribute and utilize power efficiently. Given the rapid advances in engineering, you must also leverage your electrical systems to optimize processes, modernize designs and re-engineer equipment to reduce your cost of production / operation.